Antonio J. Caamaño received the B.Sc. and M.Sc. degrees in theoretical physics in 1995 from the Autónoma University of Madrid, Spain, and the Ph.D. degree in Telecommunications Engineering from the Carlos III University of Madrid, Leganés, Spain, in 2003. 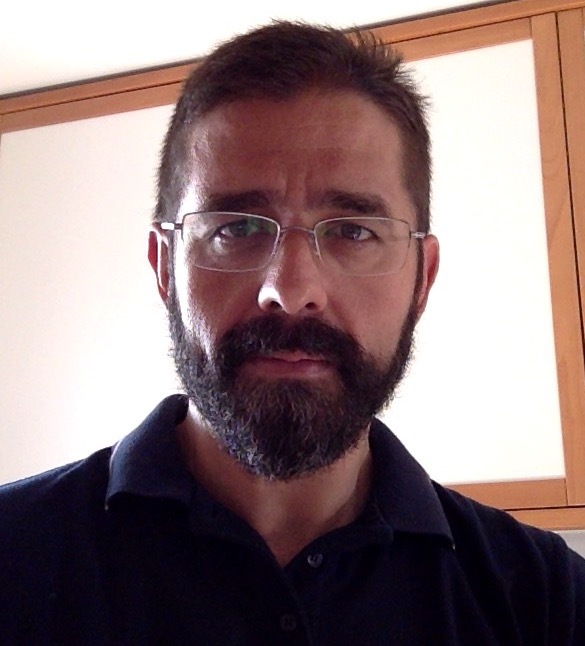 Since 2017, he has been a Full Professor with the Department of Signal Theory and Communications, Rey Juan Carlos University, Fuenlabrada, Spain. He was a Fulbright Visiting Scholar in George Washington University in 2017. His main research interests lie in the fields of MANET optimization, bioengineering, and statistical signal processing. Primer accésit CEI. Proyecto Diseño de algoritmos de soft-computing para problemas de predicción de energía eólica, fotovoltaica y mareomotriz por olas"